Sam Ubhi graduated in Constructive Textiles from Middlesex University. Her works have featured in Art Galleries in London and New York. She began her career as a jewellery designer with a buyer from Barneys in New York. Sam Ubhi designs are consistently featured in all the top national magazines, and make monthly appearances in publications such as Vogue, Elle and Marie Claire. Her list of celebrity admirers constantly increases, with Cat Deeley and Claudia Shiffer among her fans. Her belts are worn by Zoe Ball and Freddie Lundberg and the jewellery is often seen on the likes of Sienna Miller and Joss Stone. Amy Winehouse, Anna Wintour, Carey Lowell, Carol McGriffen, Cat Deeley, Charlotte Church, Claudia Shiffer, Fern Britton, Fiona Phillips, Freddie Lundberg, Hilary Alexander, Jemima Khan, Joss Stone, Kelly Hoppen, Lisa Snowdon, Danni Minogue. Past winner of Hair Magazine’s London Salon of the Year, Richard’s destination salon has been described as ‘leisurely and luxurious yet unpretentious’ and is home to over 170 innovative hair and beauty treatments, such as Metrospa Multi-Tasking and Super Fast Blow Dry, where stylists and therapists work in tandem for the ultimate in speedy expertise. Metrospa, the salon’s unique brand of city day spa, is a state-of-the-art pampering zone featuring expert therapists and our exclusive CARITA range. Vogue magazine recently dubbed his unique team as 'obsessional about that elusive personal touch' in his 'spectacularly sunny, cleverly sectioned space', likening the salon's floor manager Gavin to a maitre'd at The Ivy. Italian Vanity Fair recently dubbed Richard Ward Hair & Metrospa one of the most 'ultra-glamour salons' not only in Europe but world-wide, cementing Richard's Italian reputation as 'Golden Scissors'. Richard has cultivated a specialist team to offer the most innovative, must-have hair and beauty treatments in 5000sq ft of luxurious surroundings in the heart of London's Chelsea. Richard says "We aim to deliver on every level and exceed our client expectations – making our salon one of London’s most glamorous pampering hot spots; a haven of relaxation ensured to guarantee you leave looking and feeling fantastic!" 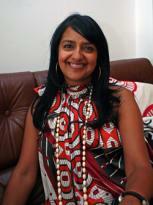 Jenny Holloway has been working in the fashion industry for over twenty five years mostly in the private sector. Initially she was a buyer for Littlewoods, M&S and Principles for Women before opening her own label Retro. For almost ten years Jenny was Director of her successful business Retro UK Ltd which included retail boutiques, party plan, wholesaling to major retailers such as John Lewis, Principles and independents. Retro UK also had an excellent export business with key accounts in the Middle East and Europe. In 2000 Jenny commenced a consultancy business and was approached to be an Industry Advisor on Government funded initiatives. In March 06 Jenny incorporated Fashion Enter Ltd. Fashion Enter (www.fashion-enter.com) has over 1000 members with two retail boutiques; Croydon and Barking - a third is planned for Spring 08. Fashion Enter Ltd provides highly specialised support for designers today including www.fashioncapital.co.uk, a PR Dispensary service, an agency Representing, trade missions, seminars and workshops. 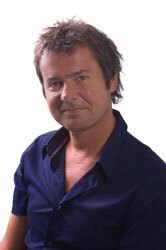 One to one surgeries are also available. Fashion Enter also owns the Profile fashion trade event which showcases new and emerging designers and acts as a platform between Graduate Fashion Week and London Fashion Week. Profile is currently sponsored by Hobbs , Whistles, Debenhams and TopShop and is in association with Rah Productions. in Sanskrit, an ancient language means ‘pure’. The brand signifies just that. Pure beauty. Pure innocence. Pure design. 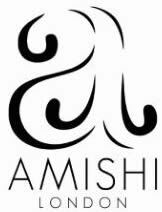 Amishi, named after the designer herself, was founded with passion to create handbags and jewellery for the contemporary woman who had both style and substance. Her creations are sheer poetry and she is motivated to create the most desirable pieces of luxury by observing nature and the world around her. Her spirituality has enabled her to create purses which are balanced in design and bring about a sense of fulfillment and balance in the life of the woman who wears it. Her vision has always been to make jewellery and handbags that are irresistible and therefore will be handed down from mother to daughter to granddaughter. Her products do not date. They are fresh, unique and exciting. And timeless. Amishi travels widely and sources her raw material from all over the world. There is special attention to craftsmanship and the finish is unparalleled. Amishi London jewels and clutch bags have been appreciated by celebrities the world over.